We have to go out & create our own adventures. Fred & I decided to head to Lake San Marcos to enjoy the sunny skies & warm weather. It's often hard to pencil in the time to get outside the house. We're usually gawking at our computer screens, monitoring social media or working on some sort of marketing campaign. This year we made the conscious effort to do more with our free time — although we do love our Netflix binges. 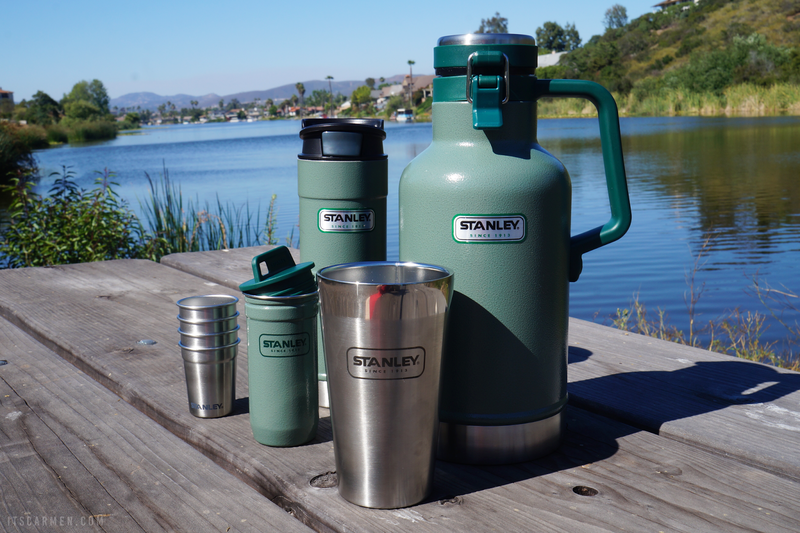 We decided to take advantage of the beautiful Southern California afternoon & have a little picnic by the lake with our newly acquired Stanley Brand* gear. My boyfriend was ultra psyched when I gave him the set of adventure goodies. He was ranting & raving about the quality. He was genuinely excited & that was a joy to witness. He said he could see everything coming in handy during Coachella or another camping excursion to keep hot stuff hot & cold stuff cold. 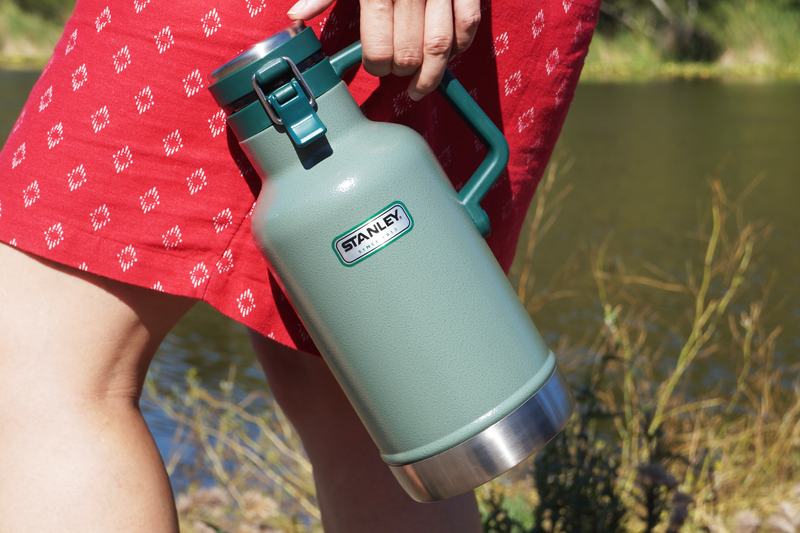 The Stanley Brand Classic Vacuum Growler is ideal for traveling because it's made with stainless steel rather than glass. 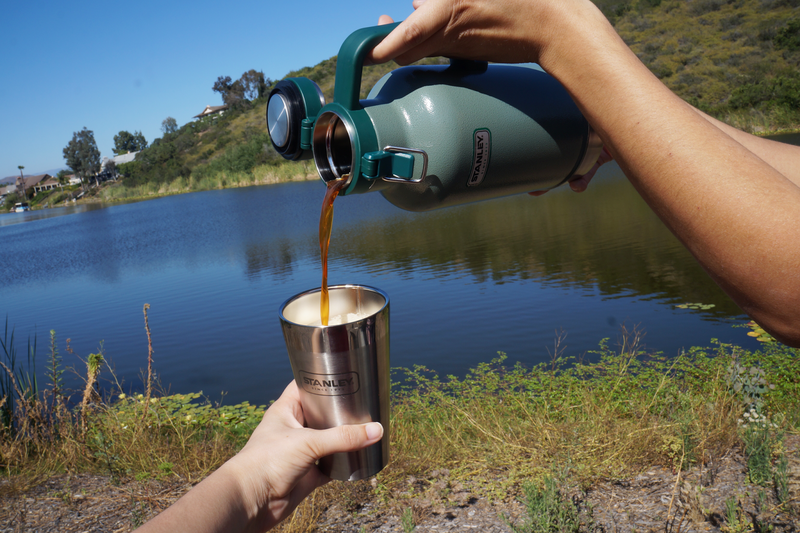 We filled our growler with beer for the picnic, but if we were going on an excursion to see the sunrise, this would be perfect for coffee or tea. 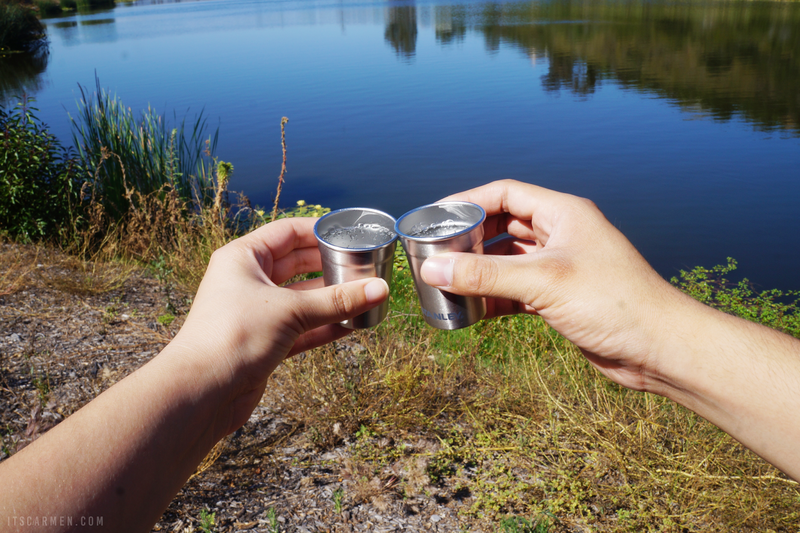 We cheered to our adventures, to our future dreams with some La Croix & the Adventure Stainless Steel Shot Glass Set. We have hopes to get an apartment within the next couple months & do some international traveling next year. For now, the shimmering lake, magical mountains, & singing birds will have to do. It's not so bad here, not bad at all! Southern California is pretty gorgeous & we're next to a whole slew of breweries. I really am a beer girl through & through, so both Fred & I wished the Stanley Brand Adventure Stacking Pint Glass came into our lives earlier. Any glass that will keep your drinks colder for longer is vital. The pint glass totally would've come in handy at Coachella. We would've placed it in our ice chest to remain cool during the day & keep our beer cold once we poured it in. Until then, this will be added to our growing pint glass collection. At least this one is designed to preserve cold drinks. Yippee! I'm a slow drinker, so this is ridiculously thrilling for me! Fred & I thoroughly savored our afternoon. As we were finishing up eating our sandwiches, we watched as a ferry pulled up to the dock. Two dads & their two sons cruised out & set up their fishing gear. It was a heartwarming moment seeing the fathers & sons enjoying their time together. 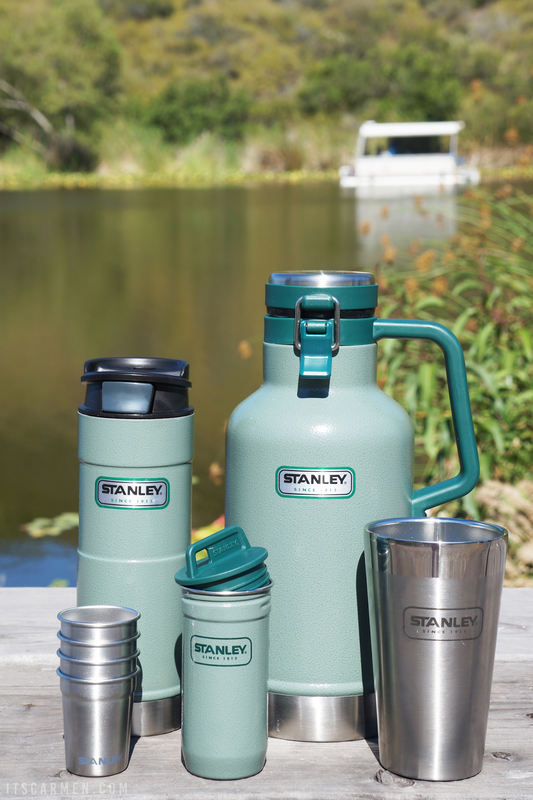 If you're looking for the perfect present for the adventurer in your life, Stanley Brand is the way to go. Treat a loved one or treat yourself. seems like a great kit for a road trip too! hope you guys had fun in the sun! I totally need a set like this for camping! We are trying to make an effort to get out and explore more this year as well...LA can get a little suffocating! Wow, I've never been to California. It looks beautiful there! These coolers seem like a summer must-have! Happy you had a great time SoCal! I've lived here all my life and LOVE IT. Awesome. 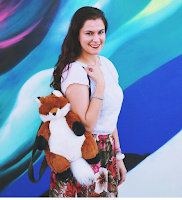 I love weekend travels (and netflix binges! lol). Looks like you had a lovely time! The thermos' remind me of when I used to live in Canada and go ice skating with hot chocolate. :) Nostalgic! This Stanley Brand gear sounds amazing for travelling to both warm or cold countries, thanks for sharing! It looks really amazing there, I've always wanted to explore California. That would be great for soup too for a picnic lunch! Great post! SoCal is just the best! You just gave me brilliant ideas for Father's Day gift! 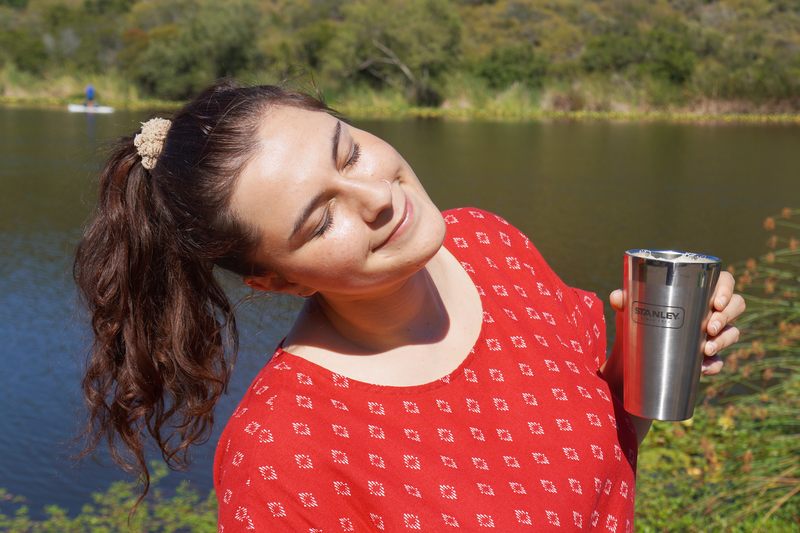 I grew using Stanley thermoses when camping. Thanks for the timely reminder that they're perfect for summer adventures. More hiking is on my wish list for this summer! Love the design of these canteens, and it's awesome you can store beer in there to keep it cool. Is that you guys cheers-ing water? That's super cute, since I can never be hydrated enough! I ended up in the Bahamas for an anniversary celebration with my Hubby. Absolutely beautiful. Have you been? This is the best and beautiful set of stanley brand gear. It is best to use in picnic or traveling. It includes all necessary items which we use in eating time. 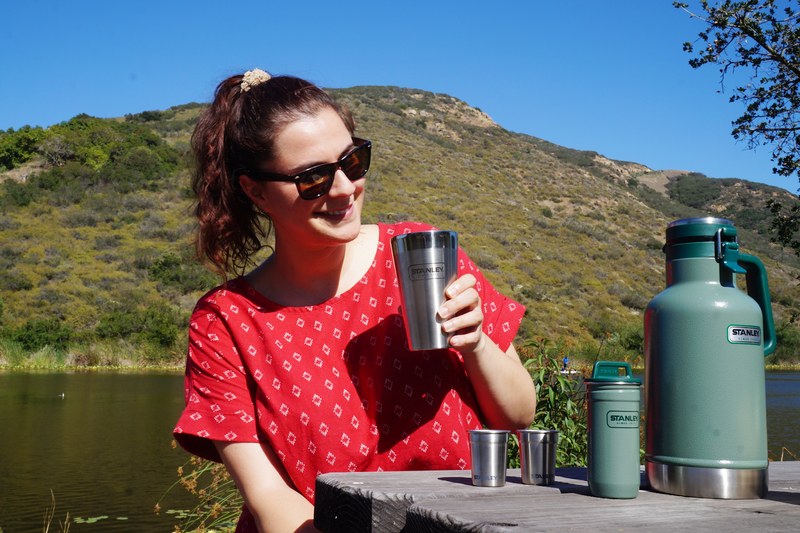 Find the wide range of Stainless Steel Vacuum Insulated Flask at best price.